The Peace Mala is one of the strongest, simplest and most beautiful symbols of world peace. Thanks to Pam Evans and her collaborators a force of unity that embraces all religions are a living inspiration for us all. Yeshua once said: 'Where three or more are gathered in Spirit, the Kingdom of Heaven will manifest'. The Peace Mala is in its own humble way a symbol telling us to do exactly that. 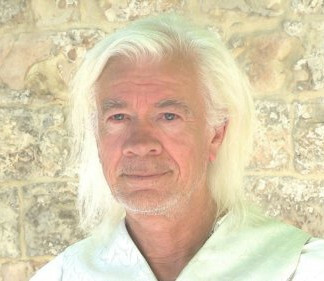 Lars Muhl is a Danish seer and mystic, bestowed with extraordinary perception since childhood. Like Paulo Coelho, Lars was for many years a successful sing/songwriter who, concurrently with his music, studied the world's religions and esoteric knowledge. Then in 1996, he was struck down by an unexplained illness, which neither doctors nor alternative therapists could diagnose. For three years he lay in bed without being able to move or think straight. Through a close friend's intervention, Lars was put in touch with a seer who, via telephone, brought him back to life. That was the start of a completely new existence and the beginning of a quest he so grippingly describes in his trilogy 'The O Manuscript'.